Supreme Court of India has dismissed the petitions seeking independent probe into Judge Loya's death. The Three Judge bench of Chief Justice Dipak Misra, Justice D. Y. Chandrachud and Justice A. M. Khanwilkar, was pronouncing the verdict in the string of writ petitions seeking an independent probe into the death of CBI special judge B. H. Loya. "We have come to the conclusion that there is absolutely no merit in the writ petitions. There is no reason for the court to doubt the clear and consistent statements of the four judicial officers. The documentary material on the record indicates that the death of Judge Loya was due to natural causes. There is no ground for the court to hold that there was a reasonable suspicion about the cause or circumstances of death which would merit a further inquiry"
"Repeatedly, counsel for the petitioners and intervenors have attempted to inform the court that they have no personal agenda and that they have instituted these proceedings to protect judicial independence. An aura of good faith has been sought to be created by submitting that the true purpose of seeking an inquiry into the circumstances relating to the death of Judge Loya is to protect the district judiciary. But as the submissions have evolved, it has become clear that the petition is a veiled attempt to launch a frontal attack on the independence of the judiciary and to dilute the credibility of judicial institutions. Judicial review is a potent weapon to preserve the rule of law. However, here we have been confronted with a spate of scurrilous allegations. Absent any tittle of proof that they are conspirators in a murder the court must stand by the statements of the judicial officers. The judges of the district judiciary are vulnerable to wanton attacks on their independence. This court would be failing in its duty if it were not to stand by them". The Bench also held that the business and political battles may not be fought in courts by abusing the process of the PIL and That the petitions lack merit. The matter had witnessed ten eventful hearings before the judgment was reserved on March 16. 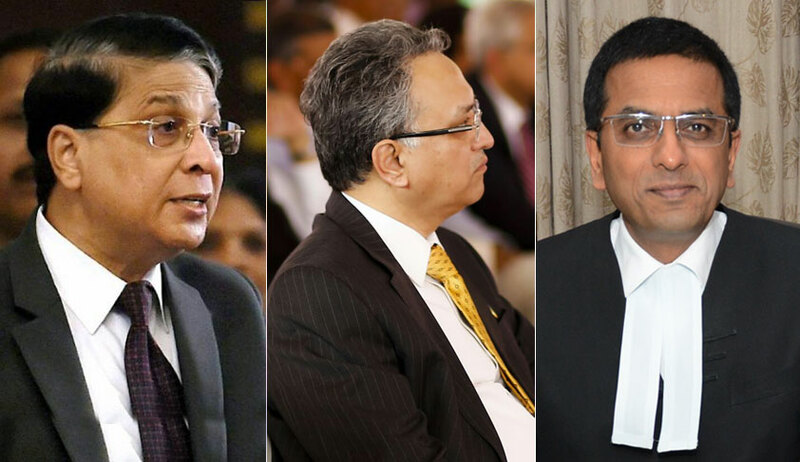 After initially being placed before a bench of Justices Arun Mishra and Mohan M. Shantanagoudar, the petitions were listed for hearing before the bench headed by Chief Justice Misra. The bench had directed the transfer to itself of the similar writ petitions by the Bombay Lawyers’ Association and one Suryakant Lodge pending before the Bombay High Court, besides ordering the Bombay High Court as well as all other High Courts to not entertain any petitions where the fact in issue is identical to the present petitions. Senior Counsel Dushyant Dave, Indira Jaising and V. Giri had appeared on behalf of the Bombay Lawyers’ Association, Former chief of the navy Admiral L. Ramdas, an intervenor, and Activist Tehseen Poonawalla respectively. Senior Advocate Pallav Shishodia had represented Maharashtra based journalist Bandhuraj Sambhaji Lone, while Senior Counsel P. V. Surendranath had appeared for the All India Lawyers’ Union, another intervenor. Advocate Prashant Bhushan had advanced submissions on an intervention application on behalf of the CPIL. Senior Counsel Mukul Rohatgi and Harish Salve had represented the state of Maharashtra, with assistance from ASG Tushar Mehta. The discreet inquiry report of the Commissioner of state Intelligence of Maharashtra, the letters of four district level judges and the assertions of two Bombay High Court judges in respect of the sequence of events leading to the death were controverted. Several contentions including inter alia the lack of affidavits, the veracity of the ECG report, the Ravi Bhawan guestbook not corroborating the alleged fact of judge Loya’s stay and the changed stance of judge Loya’s family on an independent investigation were raised.